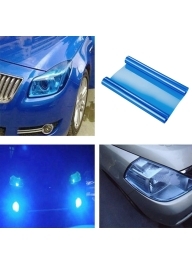 Decorative Car Light Sticker Car Headlight Fog Lamp Tail Light Protection Film Vinyl Wrap Sh..
High Power Multifunction Car Launch Assist Portable Power Bank Buffer Battery 2A Cleared 12 V .. 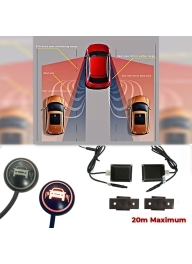 Car Door Collision Avoidance Anti-C.. Car Door Collision Avoidance Anti-Collision Edge Protector Trim 2m Length U-Shape Guard Strip .. Car Assistant Parking Sensor System LED Display Monitor with 4 Ultrasonic Sensors of Detection Ra..
Dual-Row LED Work Light Bar 72W Dri..
Dual-Row LED Work Light Bar 72W Driving Lamp Waterproof Off-Road SUV Car Spotlight - Dark Blue ..
Dual-Row LED Work Light Bar 72W Driving Lamp Waterproof Off-Road SUV Car Spotlight - Transparent ..
Dual-Row LED Work Light Bar 72W Driving Lamp Waterproof Off-Road SUV Car Spotlight - Yellow F..
Dual-Row LED Work Light Bar 72W Driving Lamp Waterproof Off-Road SUV Car Spotlight - Light Blue ..